Chef Owner Beverly Gannon continues her contribution to the Maui community through a community fundraising effort for Boys and Girl’s Club of Maui. Makawao, Maui, Hawaii— September 27, 2018 — This October, Hali’imaile General Store will begin a year of celebration to mark their 30th year in business on Maui. They will celebrate this momentous anniversary by creating a donation matching program for restaurant guests at Hali’imaile General Store and Gannon’s Restaurant. 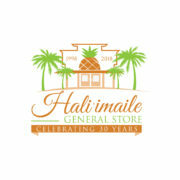 “The success of Hali’imaile General Store for so many years is attributed to giving the customer what they want. Over the years “The Store” has developed into a beautiful comfortable restaurant. Our guests wanted high quality, uncomplicated delicious food. We were more than happy to deliver!” said Beverly Gannon, Chef and Owner of Hali’imaile General Store. Between the dates of October 1st and October 31st 2018, please visit either Hali’imaile General Store or Gannon’s Restaurant and donate any amount from $5 and up and receive the equivalent amount in Bev’s Bucks to use on your next visit. Bev’s Bucks are redeemable at either restaurant for food only, and does not include gratuity or alcohol purchases. They may be used upon a future visit to either restaurant and they may not be combined with any other offer or discount. Bev Gannon will match all of the funds donated by restaurant guests, up to $15,000. All funds donated to the Boys and Girls Club will be used 100% towards programs and supplies directly affecting kids that are members of Boys and Girls Club of Maui. Another opportunity to donate: Book your holiday party at Hali’imaile General Store, Gannon’s, or with Celebrations Catering, donate $200 to the Boys and Girls Club of Maui, and you will receive an antipasto platter for up to 30 guests complimentary! ($750 value). The party must be booked in the month of October for a future event. Although Bev and Joe selected the location of HGS because of it’s proximity to their home, their original concept was a take away deli and a kitchen to serve their growing catering company. “On our opening night, October 14, 1988, 150 people came to the door requesting a seat! They wanted a restaurant! I had never worked in a restaurant in my life! I had only one bartender and two cooks – no servers or dishwashers. We all looked at each other and knew the next day things had to change. On October 15, 1988, Hali’imaile General Store became a restaurant.” Gannon remarks. From that humble start, Hali’imaile General Store now seats 150 guests, with plans to expand an outdoor space for private events. Hali‘imaile General Store is Chef Bev Gannon’s original and most acclaimed restaurant featuring eclectic American food with Asian overtones – the essence of modern Hawaii food. Founded in 1988, “The Store” has been a Maui destination for both visitors and locals that appreciate the fresh local ingredients in our island inspired menus. Boys & Girl’s Club of Maui serves over 2,400 members and an additional 7,000 youth each year through outreach. More than just an after school hangout., our clubs provide a safe place for kids to come and do their homework, learn, and have fun! With an annual membership fee of $5.00, we are able to provide services to those who need it most. 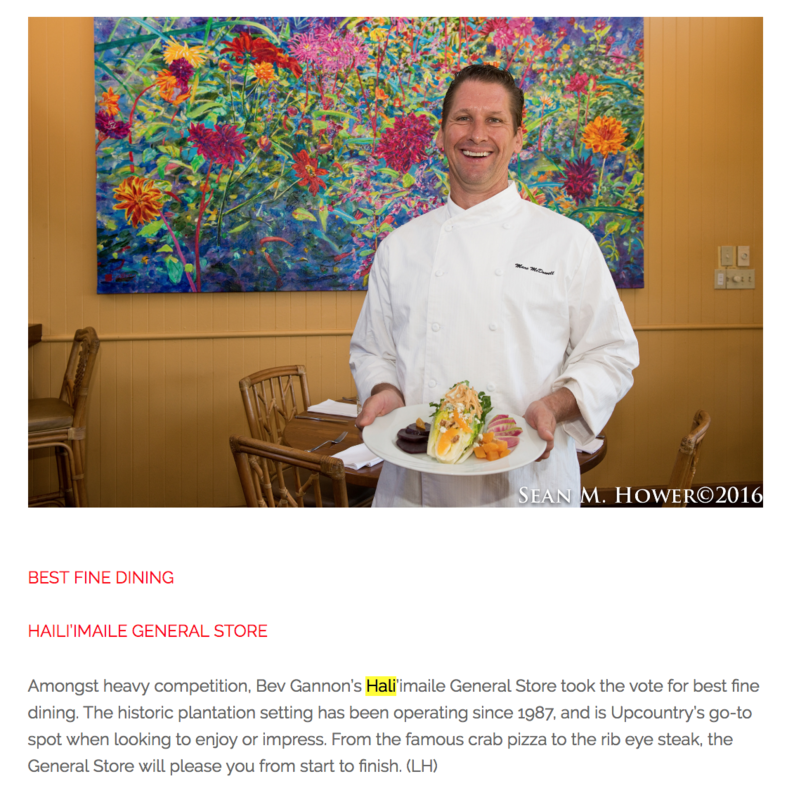 Thank you so much to the readers of Maui Time Weekly for voting for Hali’imaile General Store as the Best Fine Dining Restaurant on Maui 2018. One of ur server, Dale Button, was also named one of the top servers on Maui too! https://hgsmaui.com/wp-content/blogs.dir/5/files/2015/06/HGS-25Yr-Logo1-300x180.jpg 0 0 Kerri Glover https://hgsmaui.com/wp-content/blogs.dir/5/files/2015/06/HGS-25Yr-Logo1-300x180.jpg Kerri Glover2018-09-12 02:09:492018-09-12 02:11:04Best Fine Dining and Best Server on Maui by Maui Time Weekly! We are honored and humbled by the readers of The Maui News who voted Hali’imaile General Store “Best Service on Maui”. Mahalo to our fantastic community! Hali’imaile General Store is excited to announce their 2018 Kama’aina discount that will begin on July 1st, 2018. Each Kama’aina with a valid Hawaii identification will receive 20% off of their dinner entree. The Kama’aiana discount will end November 15, 2018. 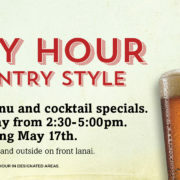 Please reserve your table online or by calling 808.572.2666. 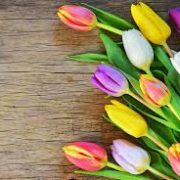 E Komo Mai to our Hawaii Ohana! Offer not valid with any other discounts or offers. Makawao, Maui, Hawaii— Hali’imaile General Store — This October, Hali’imaile General Store will begin a year of celebration to mark their 30th year in business on Maui. In order to commemorate this fantastic 30th year in business, Hali’imaile General Store is planning a year of festivities. On the 30th of each month beginning on October 30th, HGS will host an event, promotion, or vintage recipe to celebrate the occasion and thank the community for their support. Please visit the HGS website at www.hgsmaui.com for an updated calendar of events. We are not serving Happy Hour at this time. 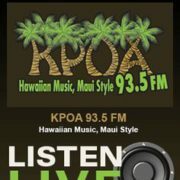 Tune into Hawaii radio KPOA (93.5 FM) on Monday, March 27 at 8:30 am as our very own Chef Bev Gannon is interviewed regarding Localicious Hawaii, the dining program to benefit the Hawaii Agriculture Foundation. 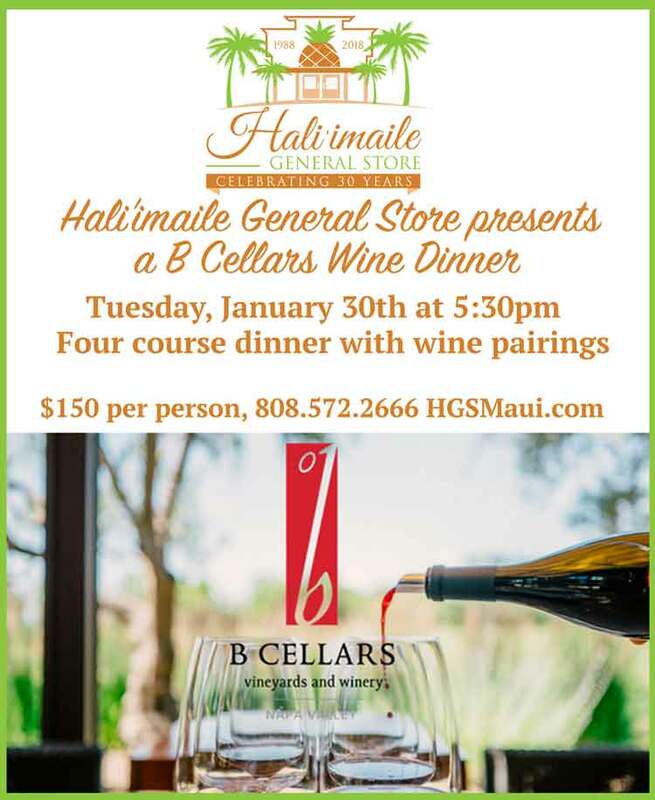 Find out what dish is being offered at Hali’imaile General Store and how your purchase of this entree supports HAF’s Veggie U educational program. For more information about Localicious Hawaii 2017, Hawaii Agriculture Foundation and Veggie U, visit their website at www.hawaiiagfoundation.org/events/localicious-hawaii.